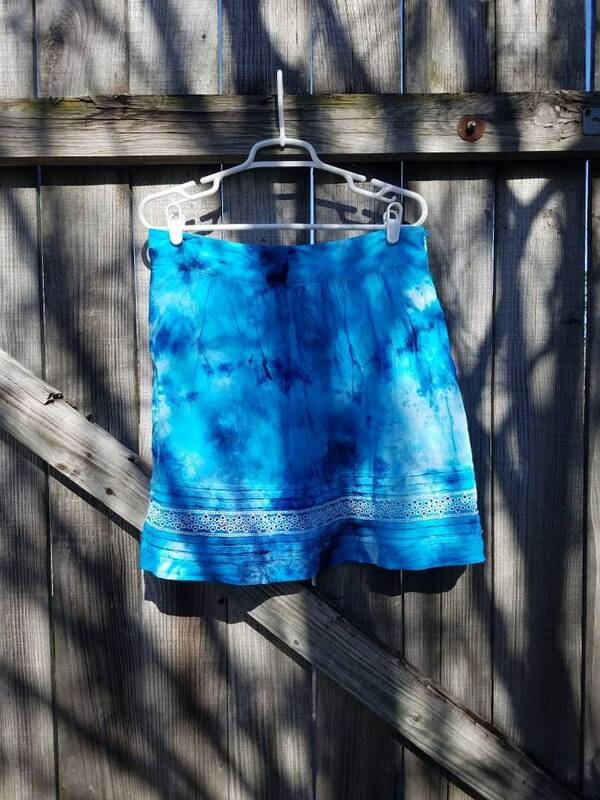 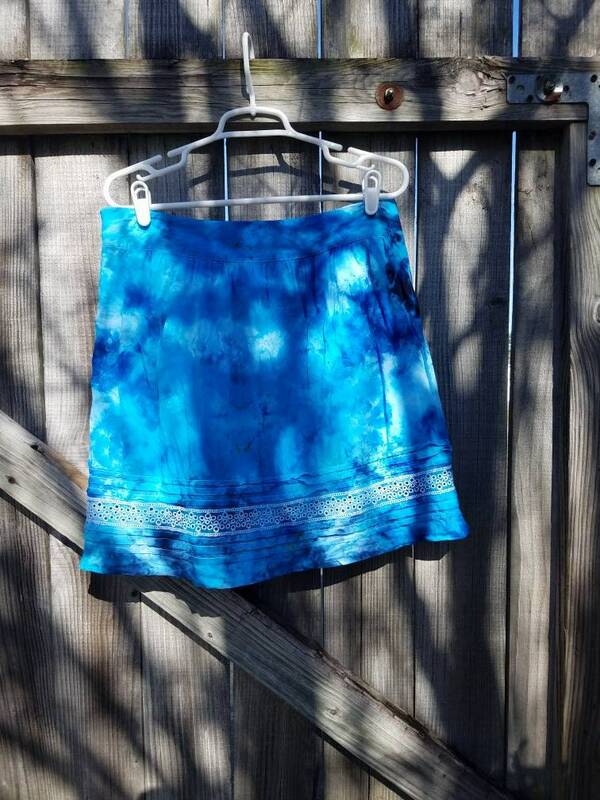 Stand out in this one of a kind, hand dyed, upcycled skirt. 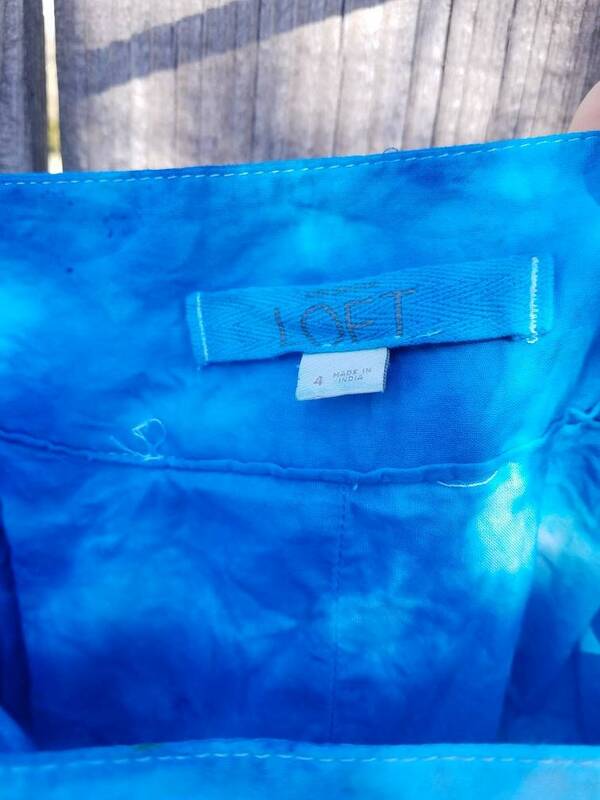 The skirt brand is Ann Taylor Loft and is a size 4. 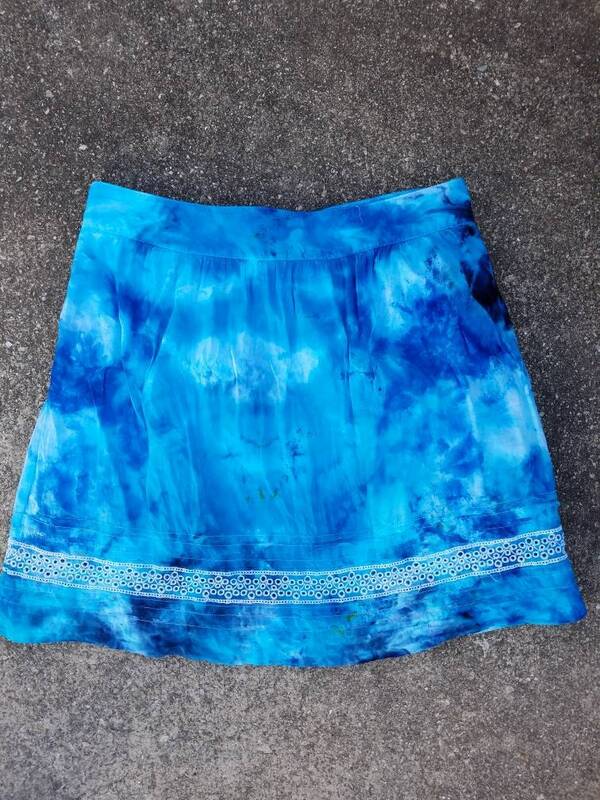 The skirt is fully lined. 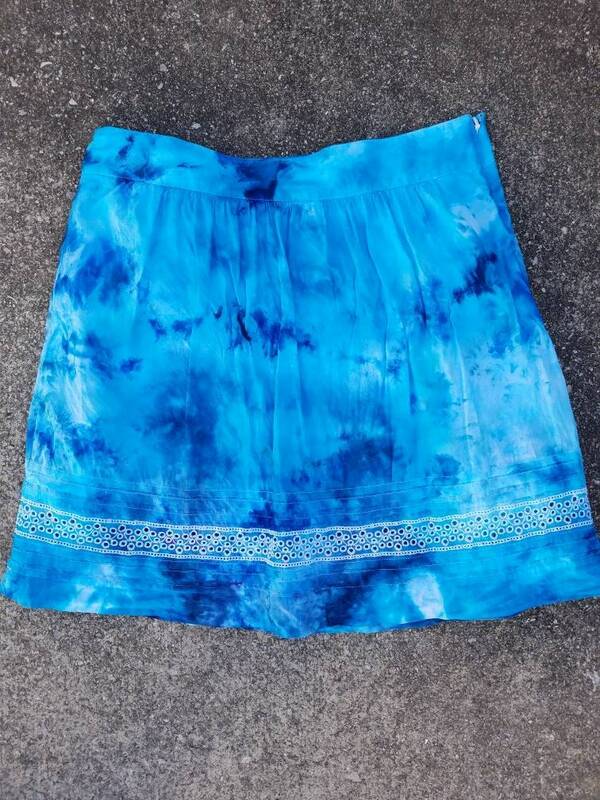 Skirt measures approximately 19 inches from the top of the skirt to the bottom and the waist measures approximately 34 inches around. 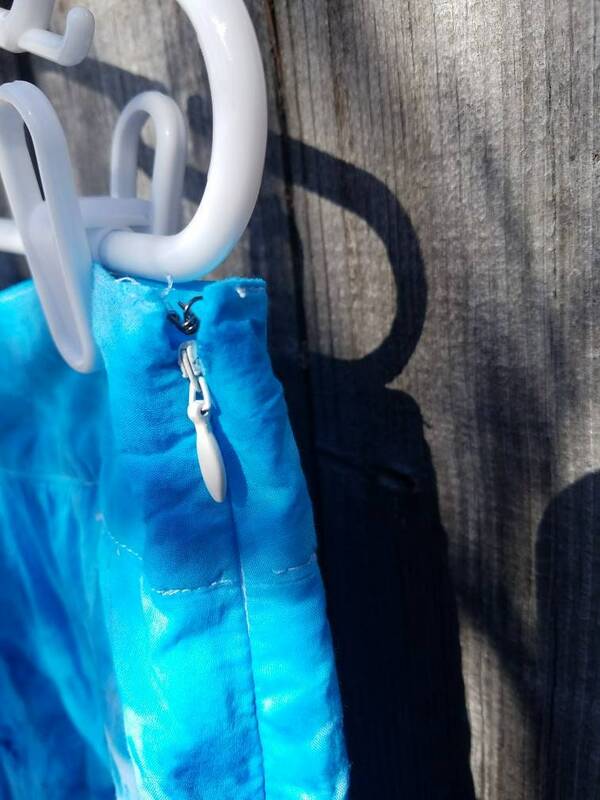 There is no stretch to the skirt and there is a side zipper and a hook and eye closure.